Until recently, medical science believed that our brain, a three pound wonder, stopped creating new neural connections as we aged. Prior research appeared to indicate that memory begins to decline at about 20 years of age and becomes irreversibly worse as we get older. Medical science believed that like other parts of the body, brain neurons weakened with age. However, during the past few years, multiple scientific studies have shown that our brains are capable of making new neurons and replacing damaged neurons even as the old ones wear out. The center of the human nervous system, the brain is a highly complex organ protectively encased in the cranium: with 100 billion brain cells, the complexity of the brain is truly “mind-boggling.” The human brain is generally similar in structure to the brains of other mammals: however, the human brain is three times as large as the brain of a typical mammal with an equivalent body mass. The news is full of bold-faced headlines about the many breakthroughs in brain research. On July 5, 2013, the Vancouver Sun reported new studies presently underway to test the brain of those injured in sporting accidents. There are more than 300,000 sports related head injuries each year in the United States. The new medical equipment is being developed to test players on the field. If a player suffers a head injury, the equipment shows immediately if there is a danger in allowing him/her back in the game. On June 21, 2013, the Huffington Post reported, “The postmortem brain of a 65-year-old woman has been transformed into a new 3D map revealing the intricate architecture of the human noggin on a scale finer than a human hair. We all want to “keep our wits about us” as we age. The universal human desire to enhance concentration, memory, clarity of thinking, focus, alertness and mood has driven the phenomenal growth of the world market demand for brain building products, plans, potions and pills to increase brainpower. In recent medical studies, the drug Prevagen was shown to improve cognitive function. Methods of increasing brain power include revolutionizing one’s diet, changing one’s habits, meditation, hypnotism, obtaining adequate sleep, getting plenty of physical exercise, pharmacological intervention, listening to music and stimulating the brain with challenging “brain games.” However, of all the approaches to increasing our intellect, the most effective method appears to be lifelong learning. “From birth we use and develop our brains more than any other organ in our bodies. But do you really know how the brain works and what happens when it gets hurt? At Cognuse we know. Mental Health Research Institute – “The size and research strength of the group will position the Melbourne Brain Centre as one of the top five centers for brain research internationally, alongside the Institutes for Neurology and Psychiatry (UK), the Janelia Farm at the Howard Hughes Medical Institute (USA) and the Riken Brain Science Institute (Japan). Online brain training sites allow participants to access their “brain gym” from any computer. Designed, endorsed and promoted by researchers, scientists and celebrities, these sites often offer a free, trial membership, followed by monthly membership charge. “An in-depth Luminosity review reveals that Luminosity’s training consists of fun brain training games that provide diversion and a quick mental workout. Luminosity from Lumos Labs incorporates brain-training exercises targeting a wide range of brain functions. Luminosity recommends approximately fifteen minutes of brain training per day. Independent studies show that while Luminosity’s approach to brain training might, unlike MindSparke’s improve performance on the task being trained, it will not increase general cognitive function. Industry analyst SharpBrains, after conducting a Luminosity review as part of its Brain Fitness Market Report, found that only 51% of Luminosity customers achieved the results they were looking for. Brain Athlete reports, “Statistics used to say that older drivers, as a group, tended to be more likely to be at fault in auto accidents than younger people, and suffered more severe injuries or death as a result. Recent studies indicate that with some brain training these negative statistics could be turned around and help older adults to improve their driving skills. It also can’t hurt younger people either in order to ensure their reflexes and focusing abilities can improve. Guaranteed to increase brain speed by 25% in 4 weeks for $119.00. Computer software designed to track up to 5 people on your computer, Brain Builder is a brain fitness program designed to increase attention, memory and brain speed. 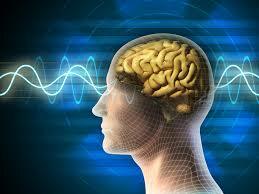 This site offers a free online book about repairing and rejuvenating the human brain. Registration is required to download the pdf version of the book and receive the monthly newsletter. As seen on Dr. Phil, Prevention Magazine’s Brainpower Game Plan book is about foods that are rich in the nutrients needed to keep brain cells healthy and to help prevent brain-damaging inflammation. The online program incorporates brain games to help improve memory and brain function. The Brainpower Game Plan Book promises that you can boost your brainpower by 78% in just 4 weeks. Interested readers can review the book for free for 21 days. If satisfied, the customer pays four installments of $6.50. 4 Responses to "Train Your Brain – Human Brains Are Capable Of Rejuvenation – Videos – Free Tests – Free Games"
You highlight some insightful considerations-however I believe you are generalizing. I would like to see you add to this, because you are an informative author and I get immense value from reading your articles. Really Appreciate this article, can you make it so I receive an email sent to me when you make a fresh update?